Double Stainless Steel Grill from Maspion made from High Quality stainless steel. Use to enjoying all of nature’s glory. 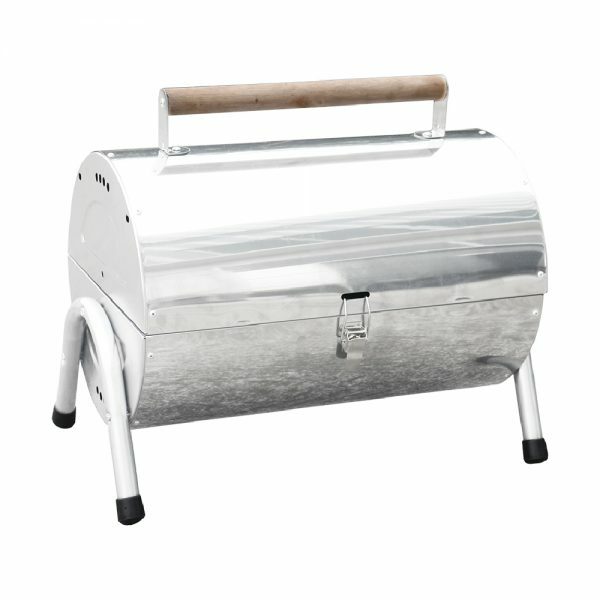 If you are looking for that perfect grill or you are building an outdoor kitchen this grill is suitable for you. 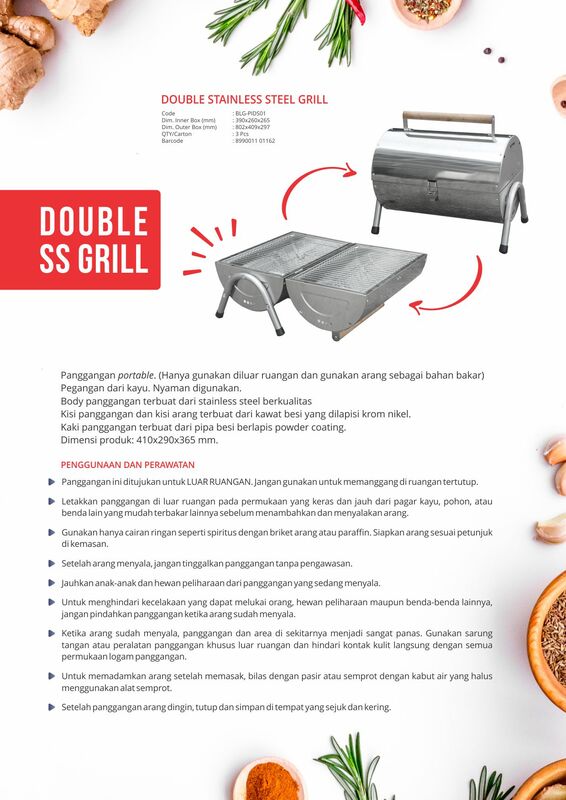 Double Stainless Steel Grill will cook that steak to perfection every single time. Perfect for barbeque party. This grill have a lot of feature that will help you create unforgetable moment with your friend and family. Portable grill. Use outdoor only and this grill use charcoal as fuel. Convenient carry handles. Made from wooden. Body made from high quality stainless steel. Cooking grid and charcoal grid made from steel wired with chrome nikel plated. Leg made from tube with powder coating finishing. This Grill is intended for OUTDOOR USE. Do not attempt to use the grill indoors. Place the grill outside on a firm, level surface away from wooden fences, overhanging trees or other easily flammable objects before adding and igniting the charcoals. Use only commercial charcoal lighter fluid, rubbing alcohol, or paraffin. Prepare charcoal according to products' instructions. After the charcoal is ignited, do not leave the grill unattended. Remember to keep children and pets away from a lit grill at all times. To avoid harm to people, pets or properties, do not move the grill once the charcoal is ignited. Once coals ignited, the grill and surrounding surfaces will become very hot. Use proper outdoor cooking utensils and avoid direct contact with all hot metal surfaces on the grill. To extinguish the charcoal after cooking, dowse coals with sand or spray with a fine mist of water. After the Grill has cooled, cover and store the grill unit when not in use.